After last week’s 10 man clear of Naxxramas, we decided to start up 25 man raiding. We were a little rusty. We had some … ummm… how do I put this? Attention issues versus Thaddius at the end of our raid time. So we came back tonight and finished off the instance with about 30 minutes to spare. In 7 total raid hours, alot of “I got a phone call”, “brb, bathroom” and “I gotta change a diaper” downtime and we got the instance fully cleared. Not a land speed record by any means. Yet, we are happy. Next stop Sartharion for our second crack at him in his 25 man version. This time with drakes up. Then on to Malygos for the real test. Now that I have gotten that off my chest, I can honestly say that Naxxramas 10 and 25 are both shells of their former selves. These are true entry level raids. So much so that several wings have been cleared by complete PUGs. I would not be surprised if a PUG has not cleared the entirety of both the 10 and 25 man versions somewhere in the world. The instances are that easy in the early going. The most difficult fight in Naxx is now Four Horsemen. Not because they hit hard, or because you need 8 tanks, or the strategy is difficult to grasp. It is challenging because of the logistics and communication involved in defeating the encounter. People talking can be a tricky thing to pull of sometimes. Anub’Rekhan used to be difficult. Now you can fairly easily keep the tank up through locust swarm without any kiting. Grand Widow, is actually more of a logistic challenge in the 10 man version than the 25. A theme that is repeated throughout the instance, including the pinata that Maexxna has become. 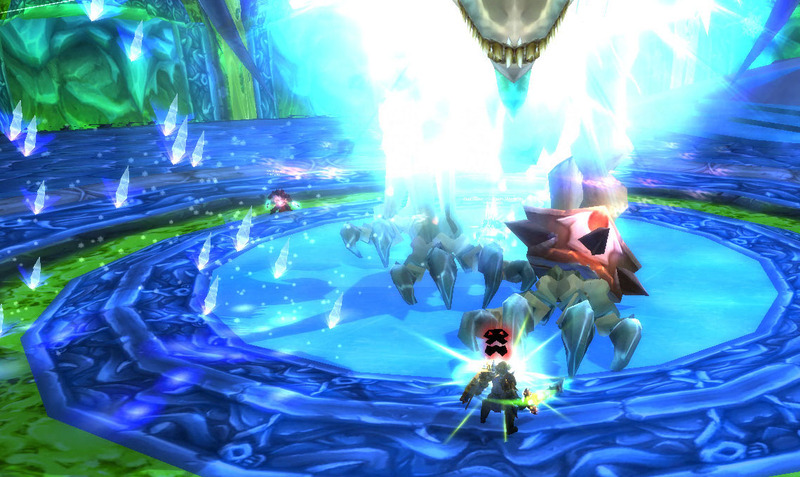 Patchwerk is the first boss that is actually difficult in the 25 man. I would not call him a real challenge in the 10 man if you have 2 geared tanks and healers with an ounce of skill you will win. The 25 man version hits so hard that after tanking him you walk funny for an hour. Grobbulus is all about not being dumb with poison. Gluth is a bit more of a challenge, but not to tank or heal him. Just to make sure he doesn’t get a feeding. Thaddius is a stupidity check. Razuvious, not much of a challenge, Gothik… someone told me from the Beta that he was actually difficult. They lied. As I said before the Horsemen are a logistical challenge. Yet they are still much easier than before. No more lingering ghosts marking people… Just plain makes it that much easier. Not much has changed from Saph and Kel though. The only difference I can remember is that Kel doesn’t Mind Control in the 10 man version. In the 25 man version he MC’s 2 people at a time with a VERY long cooldown on the ability. Do not get me wrong here. The instance itself is a heck of a lot of fun. Just for us rolling through it in our first 2 raid nights, just makes me think a little. I wish it was more of a challenge. Thank god for Malygos. Four items per boss… four!. Makes the instance kind of feel like more of a Pinata than it should be. I do have to question a little as Blizzard had said there were continue to be 3 tokens per tier drop and while Gluth can drop 2 random pieces, those 2 do not make up for the fact that the others only drop 2. I managed to get lucky and pick up the Last Laugh tonight. 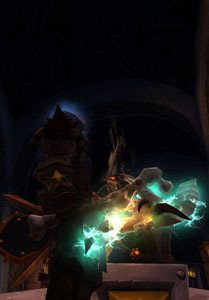 This axe is so far above any other tanking weapon its beyond words. Reputations – Which to raise first. There are a vast number of reputations in Wrath of the Lich King. As a tank, the choices of which reputations to focus on early are as important as which heroics you need to focus on, or which badge gear to work on first. There are 5 dungeon reputation grinds, plus several ancillary grinds which offer something for a tank. Hopefully this will assist you in your choices. The 5 dungeon grinding reputations are where we need to begin. Each has something decent for you to purchase at varying levels of reputation. There is a definitive order in which I myself proceeded and I would suggest anyone wishing to gain access to the best of the faction gear as quickly as possible follow suit. You do not have to reach exalted with one before you switch to the next. Upgrades via other means may change your reputation path. Gaining reputation is easy with the new championing system. Not the very best blue cloak in the game for tanking, that honor goes to Cloak of the Enemy from Heroic Nexus. However, this one is awfully close to it and its cheap and easy to get. As a matter of fact, you should probably be honored or extremely close to it as you ding to 80 thanks to all of the wonderful Dragonblight/Shrine quests you did in your early 70’s. The two biggest blue upgrades you will get. There simply is not much better out there via heroics or quests for these two slots. The chestpiece will last you until you can manage to get into Naxx or collect the 80 Emblems for the much better tier 7 chest piece. While the boots may last you much longer. There simply are not any heroic or emblem upgrades for the boot slot, so your first opportunity to upgrade them will be from Naxxramas. Once you hit Revered here, there is no reason to keep grinding at this time. Swith to the next faction. The best blue plate tanking legs in the game. There is a pair or two elsewhere, but the Special Issue Legplatess are far and above any of the other blues available. The head enchant faction is the crusade. It can not be overlooked. 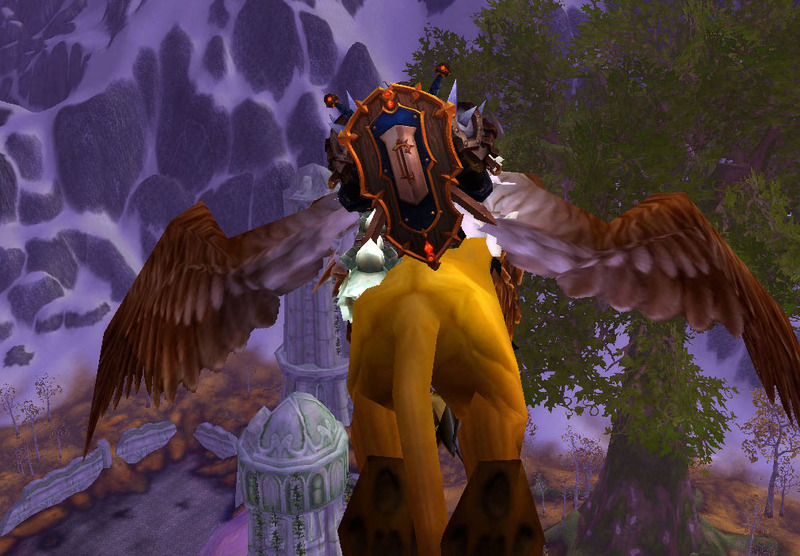 It is quite a bit different from the old Outland head enchant. It is pure stamina and defense. There is no dodge here. Making it a true upgrade for any tank on even their old Illidan Faceplate if you are still wearing it. Everyone sees purple and goes “ooooooh, I gotta have that”. 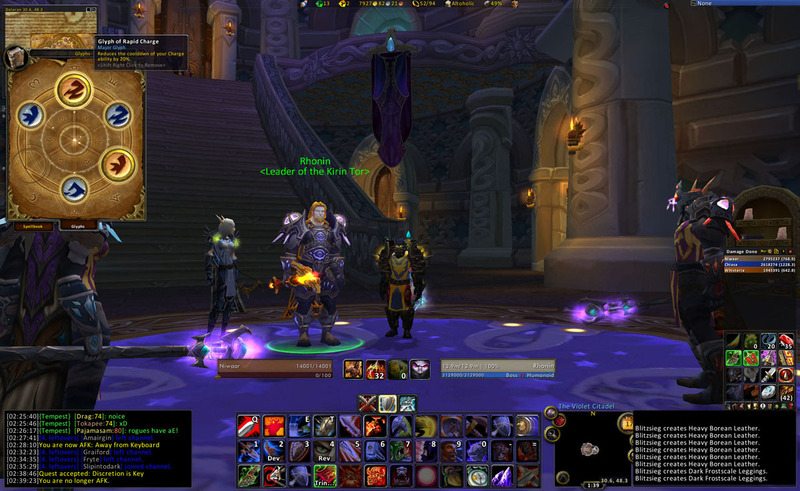 Well the Kirin Tor is “our” purple faction. These gloves are awesome. However, there are also epic gloves out of heroics that will do you as well or better in terms of tanking. Not to mention tier 7 gloves being a measily 60 emblems. If you happen to get the gloves from Gundrak or pick up your Tier 7 gloves via badges or Obsidian Sanctum, there is little reason to grind this rep as a tank. The next two factions are unneeded as well. So now is the time, to head back to Wyrmrest for access to the Red Drake mount or back to Argent Crusade to try and get the Argent Champion title. To put it simply, there just is not enough here to warrant you to even consider raising your Ebon Blade rep The level 78 boots are merely “ok”. They have Shield Block Value on them which is a great stat to have while grinding and leveling, but they pale in comparison to the Sabatons available at 80 from Wyrmrest. If you have revered at level 78 with the Vanguard you are more than likely a human. Even if you are, if you pick this up you will be the laughing stock of your server. 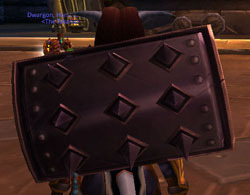 This piece of equipment is probably the worst itemized most pathetic shield in the game for its level. I seriously do not know what Blizzard was thinking when they made this thing. 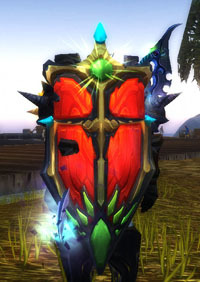 If you are desperate for a shield, save up for the crafted Titansteel Shield Wall, save your badges, or head into heroic Culling of Stratholme. Do not bother with this piece of junk. The non dungeon factions have varying uses for us as tanks. All of which are designed with the daily quest grind methodology first implemented with the Netherwing in The Burning Crusade and later perfected with the Shattered Sun Offensive. Not many of them are really important to us, but one is absolutely neccessary. The most important of the “daily” factions. This is where we get the shoulder enchants we got so used to in TBC. Although the Lesser Inscription is merely a copy of the old Exalted Aldor Greater Inscription of Warding, it is a heck of a lot easier to get than the old Aldor version thanks to the increasing cost and rarity of TBC faction items. However, if you are a Scryer and have a stockpile of tokens, I would truly suggest your pick up the old Greater Inscription of the Knight. As it is far and away a better enchant for early WotLK raiding as it will get you that much closer to 540 defense without having to sacrifice elsewhere. Definately a good starter chest if you have not managed to get the Wyrmrest rep. This chest piece is significantly lower in level than most other “easy” to obtain chests however. It is not a reason to pursue this reputation, but it is a valid reward for having spent the time doing their 4 quest hubs while leveling up. The gem recipe is also a perk of this faction. While Parry is not the preferred secondary stat to pursue, it is a valid one none the less. Not really a horrible piece, but its not what we are looking for. Simply put the shoulders you get from your very first normal instance in Northrend will be a better piece than these. If only for the defense rating they have. Not exactly tanking items, but I list them as decent rewards anyway. The egg itself has an extremely rare chance of turning into a Green Proto-Drake mount. Which is in and of itself a very good reason to work on this rep. The Talisman itself is a decent grind/farm trinket as it will provide you with a couple of points of crit as well as a rage proc as you kill. While this is not completely neccessary in the days of Warbringer and Improved Charge, it is definitely welcome. These are decent pieces of equipment, but like the shoulders from The Oracles, the sheer lack of defense rating on them make them unusable at 80. There are really no other reasons to choose Frenzyheart over the Oracles. Currently, there is no known mount that comes from their “jar”. While you can obtain a cosmetic pet, and even a BoP item that turns you into a Wolvar for 5 minutes. While fun, its just not the same as a chance at a mount. How do you describe this shield? If you have it, do you actually run around town with it? I know the Sword Breaker’s Bulwark is a wonderful buff for anyone who uses it, but its just so damn ugly. With all the beauty that is (or was) the encounters found in Sunwell Plateau, they gave us this debaucle of a monstrosity that endeavours to be “fancy”. In making the model, the failed. Not only did they make it clip through the “tanking weapon” dropped inside the same instance it drops in. They also failed to make it not clip through the Tier 6 Onslaught shoulders and chest piece. In the words of my Guild Master, this is “Epic Fail”. I have heard every opinion from my own guild members. Everything from the Nightbane shield, to the lol Turtle shield from badges. People even seem to absolutely love the SSO shield models. I for one love my Barndoor. Which shield do you find to be the best model?